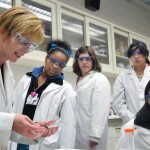 The National Research Council’s (NRC) Framework for K-12 Science Education describes a vision of what it means to be proficient in science; it rests on a view of science as both a body of knowledge and an evidence-based, model and theory building enterprise that continually extends, refines, and revises knowledge. The Montana Partnership with Regions for Excellence in STEM (MPRES) project is designed to help teachers implement the Framework, and teachers who engage in MPRES Professional Development will be on the cutting-edge of science education. The transition from a one dimensional teacher, defined as a teacher who focuses on a single dimension such as content standards, to a 3-Dimensional teacher, one who weaves all three dimensions into lessons as appropriate, is a complex cognitive, pedagogical and paradigm challenge. Simply stated, this is not a quick, painless process. The transition to a 3-Dimensional teacher should be viewed as a life-long journey over a continuum of change. For this reason, MPRES recommends that teachers interested in the Toolkit take advantage of one of the MPRES professional development options. Read more about the three dimensions and download the complete NRC Framework online from the National Academies Press. To provide the greatest benefit, teachers are encouraged to utilize the MPRES Toolkit in conjunction with an MPRES Professional Development activity. Refer to the Professional Development area for current professional development opportunities and more information on MPRES Trainers and how you or your district can request MPRES professional development. The MPRES Toolkit was developed as an online resource to train teachers in the concepts of the Framework for K-12 Science Education and the Next Generation Science Standards (NGSS). It is not intended to be used as curriculum for classroom instruction, but it can greatly assist teachers in adapting their own lessons and materials to meet standards. 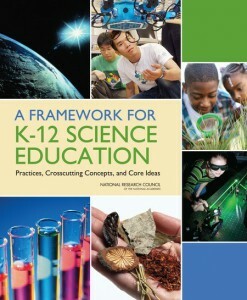 The Toolkit assists teachers of science in the conceptual development and acquisition of the K-12 Science Framework Dimension of Science & Engineering Practices in coordination with Crosscutting Concepts Dimension and the Disciplinary Core Ideas Dimension. 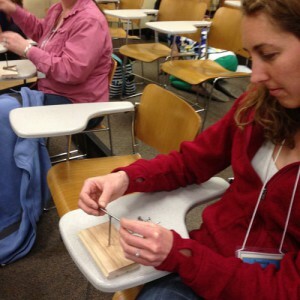 The goal is that teachers fully implement Science & Engineering Practices in all their teaching and that the Practices will be a natural component of their teaching repertoire.